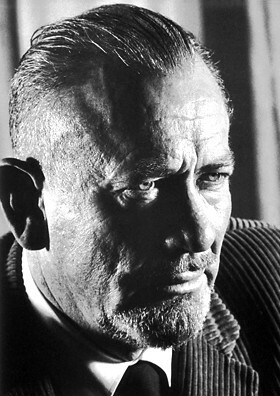 John Ernst Steinbeck (February 27, 1902 - December 20, 1968) was an American writer. Steinbeck won the Nobel Prize in Literature in 1962. Some of his most famous works are Of Mice and Men (1937) and The Grapes of Wrath (1940), which won a Pulitzer Prize. In these two books, Steinbeck writes about migrant workers during the Great Depression. John Steinbeck Facts for Kids. Kiddle Encyclopedia.